Dr. Cosmin Anițoiu has attended the Faculty of Dental Medicine and Faculty of Medicine, of the “Carol Davila” University of Medicine and Pharmacy in Bucharest. His passion for the dentistry are of work has aimed him to perfect his theoretical knowledge with some intense internship programs beside excellent doctors with great expertise in dentistry, for the latest 2 years gathering information and practice from the DENT ESTET medical team. Focused on the smile aesthetics field, dr. Anițoiu is specializing in odontotherapy, conservative dentistry and esthetic dentistry. 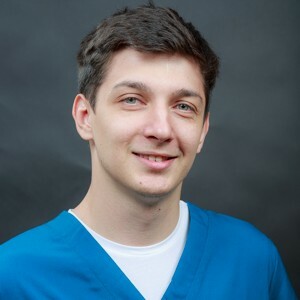 Dr. Cosmin Anițoiu is also specialized in clinical digital photography, being a great speaker for his colleagues at the University in a course projected for this subject.